Your vehicle is a representation of you as a person: driving around in a beat up, scratched car makes people think you just don’t care. You want to turn heads in a good way with a clean and polished vehicle, not an eye sore! As good of a drive you may be, accidents do happen. You could get side swiped by a driver on his cell phone or someone could simply open their door into your car at the market. In either case, getting your auto body repairs in York is as easy as picking up the phone, kicking back, and letting Car Cosmetics fix up your ride. Bumpers are one of the more common areas on your vehicle to get scratched up from either minor collisions, high bumpers with a low vehicle, curbs, etc. We handle all things bumper scuff related on-site and in-shop. Our bumper repairs are top-notch and will leave your bumper in good-as-new condition. Deep scratches require more than a simple application of touch-up paint. Our deep scratch repair experts use special techniques and materials to repair the scratch from the inside out, ensuring the paint repair will match and be undetectable once the repair is completed. We do everything the “right” way and we’re proud that it shows! Stone chips are unfortunately common and are a popular car body repairs in York service we perform frequently. Roads that haven’t been properly swept or cleaned often get rocks and gravel kicked into the middle of the road. Other passing vehicles unknowingly will kick the rocks up into your vehicle leaving small chips and scratches in the paint leading to a range of other potential problems like rust and paint chipping. Car Cosmetics will repair all stone chips on your paint regardless of what panel it’s on. We provide top quality colour matching and clear coat matching to ensure you won’t be able to see – or feel – where the old chipped up area was! Using some highly specialized techniques and tools, we’re able to perform most dent repair jobs without having to repaint the surface. We’re able to use a combination of paint-safe specialized tools to effectively and efficiently remove dents from various panels on your vehicle, restoring it’s original shape while saving you money on a new paint job. Alloy wheels are expensive, especially if you have custom rims on your ride. They’re also susceptible from damage from all kinds of sources like curbs and bumps in the road. We offer the highest grade of alloy wheel refurbishment services in York. We’ll make the damage to your wheels a thing of the past. We’ve seen some pretty nasty scrapes and scratches in some high end wheels and are confident we offer the best service in the area to get it looking brand new again. 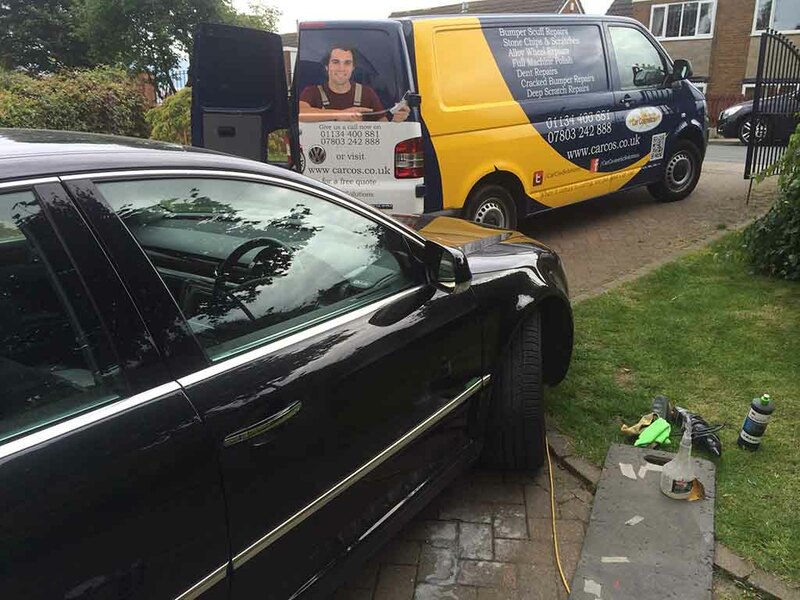 We take pride in all of the services we offer on all aspects of car body repairs in York and surrounding areas. We offer competitive prices and mobile services, making Car Cosmetics a sure choice for your next auto body job. Give us a call and get a free estimate or check out the services we offer on our website. To see more reviews, click this link. Fill out the quotation form below for any type of car body repairs in York.